We are a people who celebrate God! We rejoice in God's creation, respond to God's calling and rely on God's faithful covenant. We are a people who serve Jesus Christ. We lift soup ladles for the hungry, build homes for the homeless, tutor children who need a friend and touch God's children all around the world. We sing praises to God in worship, listen for God's word from the pulpit and enjoy God's comfort during our wilderness days. We are a people who expect Christ's return. We declare it when we break bread together, announce it when we share the cup and trust in it with each baptism. In the name of the Father, and of the Son, and of the Holy Spirit, Amen. In 1945, a small group of St. Simons residents gathered for weekly prayer services in their homes. The Rev. Thomas L. Harnsberger, minister of the First Presbyterian Church in Brunswick, led the prayer services. 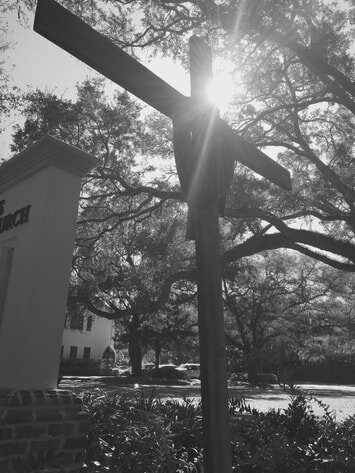 St. Simons Presbyterian Church (SSPC) was officially organized in 1946 with forty-six members. The church met in local public buildings until it dedicated its own building in 1954. It added space for Sunday classes in 1956. During the 1980s and 1990s the church grew in numbers, facilities and programs. In 1984 it dedicated a new fellowship hall with a kitchen, choir rehearsal room, additional classrooms, a large multi-purpose recreation room and an enlarged sanctuary. The preschool program opened its doors in 1983. A children’s building was opened in 1993 that is now wholly dedicated to the church’s Preschool Program and Mother’s Morning Out, offered every weekday morning throughout the public school year and certain weeks during the summer. In 2007, the church completed a new children and youth building with Sunday School and activity rooms as well as a new administrative building containing staff offices and meeting spaces. Active ministry teams include Community Missions, Hunger Action, Building and Grounds, Christian Education, Membership, Congregational Care, Worship and Music, Personnel, Technology, Finance and Stewardship, and Global Missions. During its years of growth, God has blessed us with strong pastoral leadership including Rev. Dr. James Thornwell Gillespie (1947-1958), Rev. Ben F. Moore (1958-1980); Rev. Dr. John Law (1981-1996, Pastor Emeritus); Rev. Dr. Graham W. Hardy, Interim Pastor (1997-1998); Rev. Robert M. Brearley (1998 - 2018), and Rev. Alan Dyer (2016-present). Associate Pastors have been Rev. Ron Watson (1993-1998); Rev. Deanie Strength (1999-2006); Rev. Troy Hauser Brydon (2007 to 2013); Rev. Alan Dyer (2013-2015); and Rev. Annie Franklin Arvin (2018 to present). 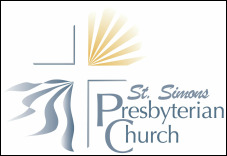 St. Simons Presbyterian Church is governed by the Session, comprised of twenty-one elders, and they are assisted by twenty-one deacons, who serve on the Diaconate. There is also a three-member board of Trustees. One-third of each group of officers rotates off each year; in the fall each year, nominating committees present slates of proposed officers to the church members, who elect the new officers. 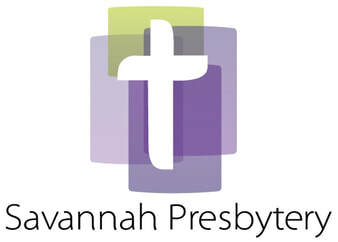 SSPC is one of the 38 Presbyterian churches in the Savannah Presbytery (covering southeast Georgia).